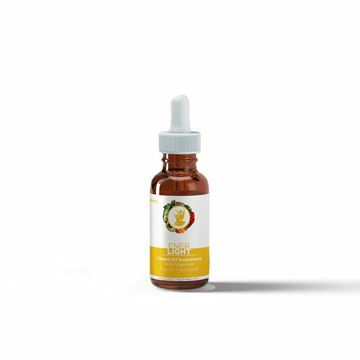 EnerLight Vitamin D by EnerSource is a pure and potent vitamin D liquid supplement containing only natural vitamin D. The vitamin D3 drops contain vitally important nutrients that help support a healthy immune system, optimal calcium absorption, and cellular health. EnerGfxO2™ is an electrolyze solution of stabilized oxygen. Stabilized oxygen puts oxygen in to the blood beyond our body’s daily intake safely and reliably. Stabilized oxygen is the only oxygen product that has had a major study done by the U.S. Marines. A Marine altitude field study was conducted under the auspices of the Department of Human Performance, Naval Health Research Center, San Diego, CA, the division of Foods and Nutrition, University of Utah, Salt Lake City, UT, and the Marine Corps Mountain Warfare Training Center, Bridgeport, CA. The test subjects reported more energy, less “out of breath”, more stamina, and improved performance. Vitamin B-12 promotes energy production in the body in many different ways. It helps to support the bodies natural processes of the adrenal glands, red blood cell formation, and may also help the body convert carbohydrates to glucose, the fuel your body uses for energy.